From baby teeth to braces, dental cleans and dentures, we cater to patients of all ages. Maintaining good oral health can be as easy as visiting your dentist twice each year. When was your last check-up? We have the depth of knowledge and experience needed to provide the highest standard of dental care for your whole family. Your dental needs change throughout your life, but your dentist doesn’t have to. An innovative and durable technique for replacing missing teeth. 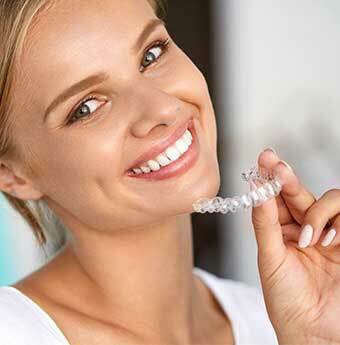 Create the straight smile you’ve been dreaming of with Invisalign. As a family-oriented practice, United Dental Clinic is committed to oral health at all stages of life. However, the scope of responsibility of a family dentist extends even further than this. We offer care at all ages; from child to teen, parent to grandparent, we can give specialised care. With this, we want to limit the need for multiple dentists and instead provide a space where comprehensive care is the standard. As your dental needs change throughout life, we will work with you to maintain your oral health. When working with children, developing a positive patient-dentist relationship is key. We find fun and interactive ways to teach children the importance of dental health, and how to keep their teeth in tip-top shape. Giving children a positive start to their oral health routine is a critical part of what we do. For adults, we work alongside you to address your dental needs and concerns. By providing the highest possible standard of dental care, we hope we can inspire a positive change in your oral health routine. Our friendly team treats patients as family members, providing comprehensive care. Regardless of age, oral health should be a priority. As your greatest asset, it is important you are taking care of your smile; this doesn’t mean that restorative dentistry won’t eventually be necessary. 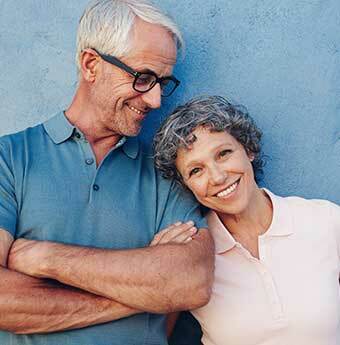 Alongside standard implant treatments, United Dental Clinic is proud to offer All-on-4, a dental implant treatment that allows you to maintain your smile into the future. All-on-4 is a minimally invasive solution to missing teeth that provides fixed full-arch restoration with just four implants. This low-cost implant procedure is highly regarded by dental professionals worldwide. All-on-4 eliminates the need for bone grafts or lengthy recovery, and same-day recovery means you’ll be back to normal in no time. Dental anxiety can be a serious barrier preventing individuals from reaching their optimum oral health. Luckily, United Dental Clinic Northern Beaches offers sedation dentistry (Oral and IV) for anxious patients so they can visit the dentist with confidence. More than just a fear, dental anxiety is a serious condition where affected individuals feel uncomfortable, scared and worried visiting the dentist – often just from sitting in the waiting room. Usually caused by a past dental trauma, dental anxiety causes oral health issues to go overlooked, and therefore escalate into full-blown dental and general health issues. Sedation dentistry provides a less-stressful avenue for anxious patients to access dental care. It also allows dentist and patient to work together to combat and, possibly, overcome dental fears. For many, having straight teeth is a priority in their dental treatment process. 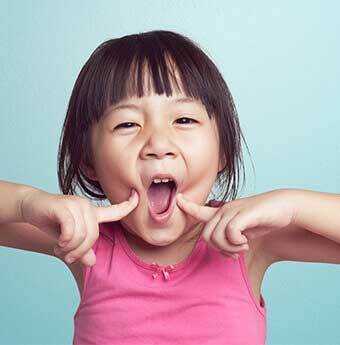 At United Dental Clinic, we offer a range of orthodontic solutions to suit all kinds of needs and lifestyles. Traditional braces are a proven orthodontic choice, and have come a long way since the days of headgear. Now, ‘traditional’ braces can be clear or tooth-coloured to minimise their visibility on your teeth, rather than the high visibility of standard metal, and the treatment time is faster than ever. While they are a standard treatment for most dentists, not all dentists offer the same quality procedure. At United Dental Clinic, we offer care to the highest standard so your straight smile will last you in the long-run. Invisalign, an alternative to braces, is an almost undetectable orthodontic treatment which uses incremental plastic trays to get results. It is best used on patients with minor discrepancies, but is a popular choice with adults and teenagers who are worried about the impact traditional braces might have on their appearance. Choose United Dental Clinic for an elevated orthodontic treatment.